What drives and brings our team together are love and passion towards our jobs. For us, there is no better feeling than the feeling of helping people and seeing the happy faces of our patients after successful interventions. Dental studio Flegar is an office for dental medicine that has been successfully working more than 20 years with a team of top-quality experts under the watchful eye of Dr. Flegar. His many years of training and work experience in Croatia and abroad were put together by Dr. Tomislav Flegar when he founded his own office of dental medicine in 1996 in Zagreb. 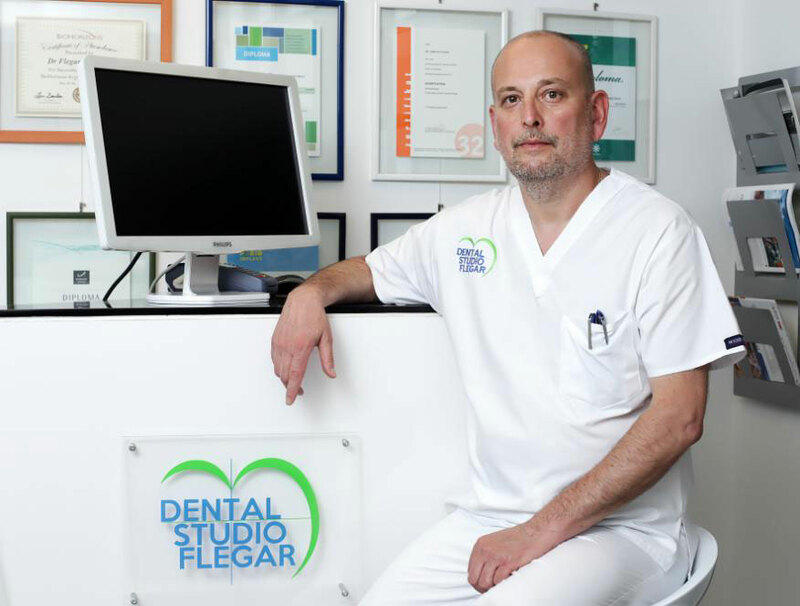 Today, the office of dental medicine of Dr. Flegar is one of the leading centres for implants in this part of Europe, and Dr. Flegar closely cooperates with the Biotechnology Institute (BTI) in the area of implantology and oral surgery, and he is also their international “opinion leader” and lecturer. Constant investments in the education of employees are a necessary part for the development of the office. Highly educated staff and the most modern technology is the basic foundation of the successful work of the office, and the most quality material on the market guarantee services of high quality and safety and predictability of the performed procedures. If you need the opinion of an expert, an examination or any of our services, feel free to contact us!